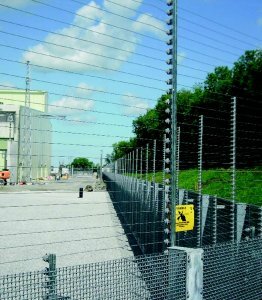 A fourth company has been accredited to install ArmaWeave, an approved high-security perimeter fencing system manufactured by PSSA member Zaun. 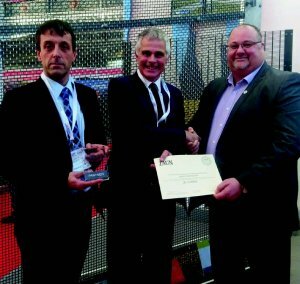 Fellow PSSA member JB Corrie has committed to training its site operatives in the installation methods for ArmaWeave developed by Zaun over time to make best use of its unique high-security woven fabric. Impressed with the versatility of the system, Corries are now installing the Zaun mesh on several security sites. With their new accreditation, JB Corrie now brings the number of approved installers of ArmaWeave to four, alongside expert installers Allen Fencing Limited, systems integrator Crime & Fire Defence Systems and premier prison fencing installer Binns Fencing, a Zaun subsidiary. The company – which has been going more than one hundred years and is now in the ownership of the fourth generation Corrie family – installs integrated perimeter protection systems for high security applications and boasts military bases, utilities, power stations and airports among its clients. Zaun trained JB Corrie’s installation teams on the properties and tolerances of ArmaWeave and how it is manufactured. The training is for fencers with proven experience in high-security fencing work who are sponsored by a company that can demonstrate its professionalism through membership of a relevant trade organisation and valid UKAS accredited ISO9001 certification. The certificate of training is only valid while the individual is working for the host company. This ensures the trained individuals are working properly under quality management to install the product. With its partners, Zaun hopes to increase the adoption of ArmaWeave as the standard for secure sites of Critical National Infrastructure – such as utilities, data centres and nuclear sites – while ensuring consistent installation quality.